Taking place between 18th March and 3rd April, the Ideal Home Show is the UK’s premier interior design event showcasing everything from eco builds to smart technology. With over 500 exhibitors at London’s Olympia, Pinball Heaven were thrilled to be asked to take part. “The organisers approached us to see if we would like to install pinball machines into the Duke’s Head pub for the duration of the exhibition and we were happy to be able to say yes,” said Pinball Heaven’s Managing Director, Phil Palmer. In supplying the machines, Pinball Heaven are also helping to support the Katie Piper Foundation, the Ideal Home Show’s charity partner for the second year running, who work tirelessly to make it easier for people to live with burns and scars. Each machine costs just £1 to play, with 100% of the money raised donated to the charity. Phil Palmer from Pinball Heaven Ltd has been a pinball fan since he was little but he is one of the lucky few who have been able to turn their passion into a livelihood. With over 25 years’ experience in pinball machine restoration and sales, Phil is already a well known and highly respected figure within the UK pinball community but we wanted to find out a little bit more about what makes him tick. Phil bought his first pinball machine at the age of 14 and rapidly realised that he loves fixing and restoring pinball machines as much as he likes playing them. The process of taking apart his own machines led Phil to realise that there were a few things he didn’t know about electronics so he started a college course to rectify that. In true entrepreneurial style, however, he simply learned what he needed to know before leaving to concentrate on the already growing business. A big part of the Pinball Heaven Ltd business is restoring pinball machines so we asked Phil to provide a little more detail about this service. “Our reputation for excellent restoration jobs goes before us and I think that is partly down to the passion I have instilled in the team. We are a small company which has played an important role especially in the restoration process. We don’t, for example, have a quick 20 point checklist that is simply an exercise in going through the motions. We take time on each restoration project checking everything from the top to the bottom. When a restored pinball machine leaves the Pinball Heaven premises we are confident that it is in an “as new” condition. Whilst Pinball Heaven Ltd was primarily started as a pinball restoration business, Phil’s ever growing customer base began to ask if he could supply the small parts needed to make minor repairs themselves. The website now boasts over 2000 small parts that customers can order online and, if you are looking for a part that isn’t on the website, customers can simply contact Phil who will help source the necessary item. Pinball Heaven supply and restore pinball machines the length and breadth of the UK and, of course, we asked about celebrity clients however, Phil’s reputation for discretion precluded him from spilling the beans except to say that he has seen some fabulous games’ rooms over the past 25 years. Speaking of games’ rooms, we asked if Phil has one of his own? “With so many pinball machines going through the business, it would be easy to have the house full all the time, never mind just a room so what I tend to do is take them home on a rotation basis. Obviously, this does mean I am lucky enough to play different pinball machines on a regular basis but it also means that I increase my knowledge and understanding of each game. It’s paramount to me as an individual, and also a crucial part of my business, that my customers know I have a deep knowledge of the pinball world; that gives them confidence when, for example, I am asked to restore a machine or even if someone just wants to ask a question. Finally, what does the future hold for Pinball Heaven Ltd? “The parts’ side of the business is very busy so I am continuing to expand that. This area is ever-changing as new machines are brought out and new manufacturers come to the market place. I am also excited to announce that, for the first time, we are operating pinball machines on location, in cafes for example, across the country. This ties in with my passion for pinball as it’s crucial for the survival of the game that new people are introduced to it all the time. Stern’s Star Trek Pinball Machine has been the best selling pinball machine of the last two years and, at Pinball Heaven, we can understand why. Designed by Steve Ritchie and based on the JJ Adams films, the Star Trek Pinball Machine has been a perennial favourite, standing the test of time for pinball fans in both the UK and worldwide. Before we take a look at the pinball machines itself, let’s explore the Star Trek pinball machine story because the gameplay really is a classic in terms of good versus evil. Players are in the hot seat straight away, embarking on a journey to protect and defend the planets of the Federation. Your specific goal is to defeat the U.S.S Vengeance, rescuing Spock and other Starfleet colleagues in the process. So, on to the gameplay. The Star Trek Pinball machine playfield features seven multicolored LED paths that lead gamers on easy-to-understand color-coded routes. There are six missions for casual players matched by 18 complex treks to immerse enthusiast players deeper in the game. As players attack an oncoming threat with three action-centered flippers, the all-LED playfield will captivate onlookers and enhance the player experience with features like phaser flashes and photon torpedoes. With several different missions to choose from and superfast gameplay, the Star Trek Pinball Machine really does provide an immersive gaming experience including voice clips taken from 2 movies as well as custom speech by Karl Urban; Stern sent the actor a Star Trek Limited Edition as a thank you. In the opinion of everyone at Pinball Heaven, having custom speech from actors involved in the Star Trek films really adds to the game play and enjoyment. The machine features a deep rule set, provides excellent flow and, should you wish, there are many modification options available that will allow you to customise your Star Trek pinball. Of course, we couldn’t write a blog about Star Trek Pinball without a brief nod to Captain James T Kirk, so as an aside, does anyone know what the “T” stands for? Answers in the comments section if you do. Does Pinball Heaven have Star Trek Pinball Machines for Sale? Pinball Heaven currently has both the Pro Star Trek Pinball and Premium Star Trek Pinball machines in stock and ready to grace the games’ rooms of pinball fans across the UK. Whether you want to look at pinball machines for sale or you simply want to talk to the most knowledgeable pinball machine experts in the UK, just get in touch as we are always happy to talk all things pinball! 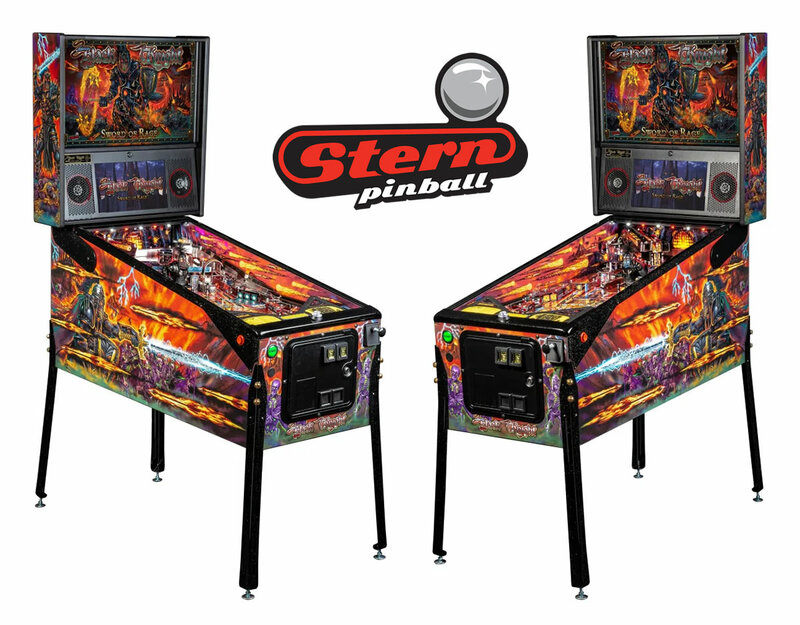 Pinball Heaven currently have all three editions of the Stern KISS Pinball Machine in stock and ready to grace the games’ rooms of pinball fans across the UK. Whether you want to look at pinball machines for sale or you simply want to talk to the most knowledgeable pinball machine experts in the UK, just get in touch as we are always happy to talk all things pinball! Our many loyal fans know that the team at Pinball Heaven love everything pinball machine related but even we aren’t sure we could beat Joe Scuderi and his appreciation for all things KISS. As a drummer in his own rock band, former professional cricketer Joe has been lucky enough to indulge his passion for rock music with a room dedicated to KISS as well as owning both the original KISS Pinball Machine and a brand new 2015 Stern KISS Pinball Machine from Pinball Heaven. The first Kiss Pinball Machine was introduced in 1978 however it wasn’t until 2015 that Stern, in partnership with Epic Rights who are the global licensing agents for Kiss, announced a new line of Pro, Premium and Limited Edition Kiss Pinball Machines. So, what’s new with Kiss Pinball in 2015? First up is the high fidelity stereo sound effect using Stern’s new SPIKE platform with an upgraded 3-channel audio system. This is over 3 times as powerful as previous generation pinball audio systems and allows players of the 2015 KISS Pinball to hear 10 of the most famous KISS hit songs. What do Stern Pinball Say? Is the KISS Pinball Machine in Stock? Yes! Pinball Heaven currently have all three editions of the Stern KISS Pinball Machine in stock and ready to grace the games’ rooms of pinball fans across the UK. Whether you want to look at pinball machines for sale or you simply want to talk to the most knowledgeable pinball machine experts in the UK, just get in touch as we are always happy to talk all things pinball! 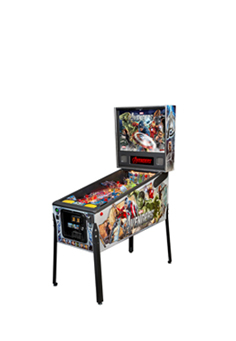 Stern Pinball have recently announced the release of its brand new Spiderman Vault Edition pinball machine, an update to the classic pinball machine inspired by the Marvel Universe comics and, of course, Pinball Heaven will be bringing this exciting new pinball machine to the UK. However, before we let you know when you can get your hands on it, let’s hear a bit more about what you can expect. 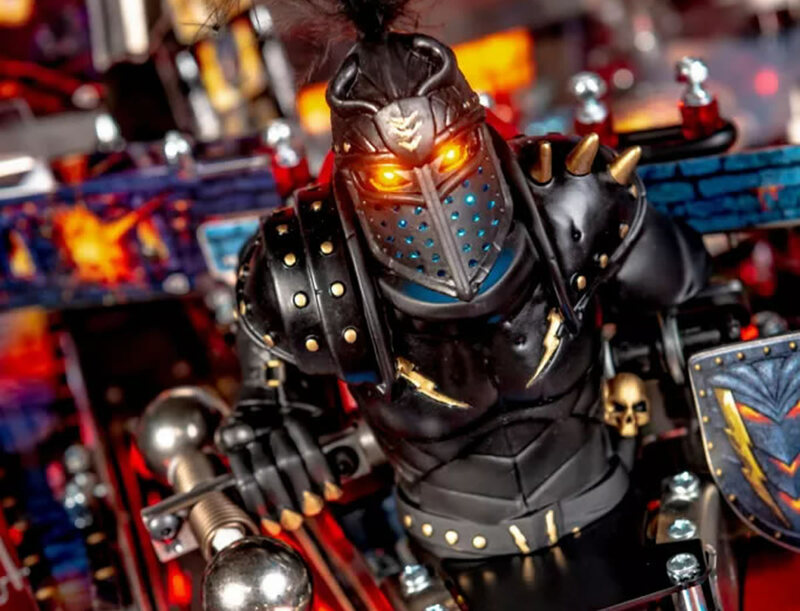 With the original Spider Man pinball machine being one of the most popular pinball machines around, Stern’s challenge has been to keep the features that everyone loves yet bring a brand new interpretation to pinball fans around the world. Stern Pinball assure us that the new Spider-Man pinball machine retains the same amazing gameplay of the original but has several updates in two major areas. Optimisations to the design of anti-ball trap plastics and ramp covers. As a result of these brand new changes, the Spider-Man Vault Edition pinball machine looks set to be an exciting edition to the Stern stable. Will Stern Pinball launch a Ghostbusters Pinball Machine? There has been a lot of recent speculation that Stern will launch a Ghostbusters Pinball Machine in 2016, to tie in with the release of the new movie Ghostbusters 3, but what the new pinball machine will look like is still anybody’s guess. We already know that the cast for the new film has been confirmed as an all female one but those in the know suspect that the Stern Ghostbusters pinball machine will stick to the classic cast of Dan Aykroyd, Bill Murray, Harold Ramis and Ernie Hudson, from the original 1984 movie. We hope that this rumour at least is true considering most pinball collectors of today will have seen the original Ghostbusters as children and many will retain fond memories of the film. Moving on from speculation about which edition of the film the Ghostbusters pinball machine might be based on, the next thing to think about is what editions will be released. When Stern Pinball release a machine, there are usually a couple of different variations so you can probably expect Ghostbusters Pro, Premium and Limited editions but what could those different editions involve? Usually, the Pro version is seen as the original with the Premium often involving a change of artwork as well as some extra complexity to the game. It brings on thoughts of whether there might be a “Slimer Limited Edition” or “Stay Puft Limited Edition”. Obviously, everyone involved with pinball machines in the UK, will be hoping that Stern will preview the new Ghostbusters Pinball Machine at EAG 2016 in London ready for sale during March. You can be sure, however, that Pinball Heaven will be keeping a sharp eye out for further information and, if the rumours are true and you are looking for a Ghostbusters Pinball Machine for sale in the UK, we will be getting this iconic pinball machine in stock as soon as it’s available. So, if there’s something new in the Pinball ‘hood, who you gonna call? Whether you want to look at pinball machines for sale or you simply want to talk to the most knowledgeable pinball machine experts in the UK, just get in touch as we are always happy to talk all things pinball! A “leaked” image of the potential backglass or a fan mock up? You decide! Update 4 March 2016. Stern advertisement showing Ghostbusters as the next pinball in USA trade papers – its real! Update 11th March 2016. Stern confirm latest model as Ghostbusters pinball machine available for sale in 3 models, Pro, Premium & Limited Edition. Limited Edition is limited to just 500 units worldwide. 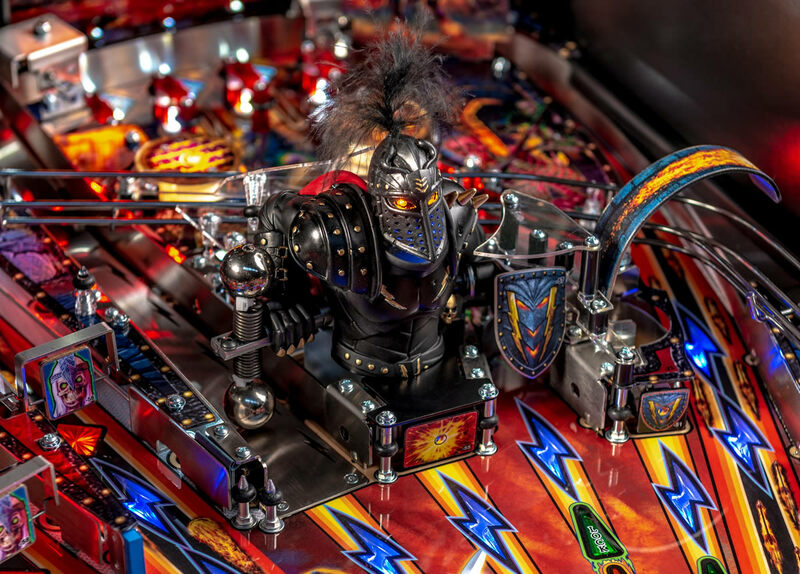 At Pinball Heaven, we are lucky enough to know the lovely Kate Morris and she, in turn, is fortunate to be a friend of Steve Richie, designer of the Game of Thrones Pinball Machine. When Steve asked Kate to feature as the female voice on the new Stern game, Kate jumped at the chance. So when Kate recently got married and asked to borrow a Game of Thrones Pinball Machine from Pinball Heaven, we were happy to oblige. After all, it’s every girl’s prerogative to be the star on her wedding day. We asked Kate to send us some photos of her Game of Thrones Pinball wedding and we hope you can join us in wishing her all the very best for the future. We know from the comments on forums and across our social media that you all love Game of Thrones pinball but how much do you really know? For a bit of fun, we have created this short Game of Thrones Quiz to see who can back up their game play with some in depth knowledge. 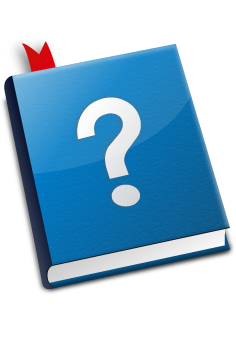 And, let us know if you enjoy the quiz because we enjoyed creating it so much that we would love to create a new one next month. 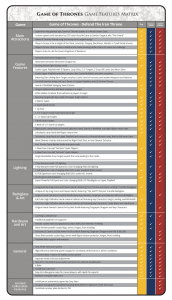 What will a features’ matrix do for you? Well, with so many features available on the 3 fantastic models of the Game of Thrones Pinball Machine to choose from, it can be confusing to choose which model might be best for you. 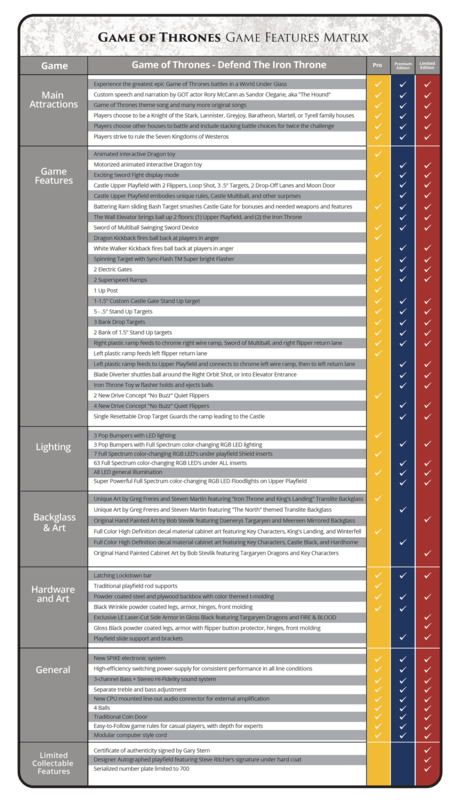 To help please find below the features matrix so you can easily see which edition has which features making it that bit easier for you to choose. As ever if you have any questions regarding this impressive release, please just get in touch either by contacting us or via one of our social media platforms.